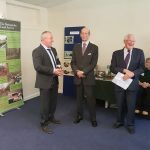 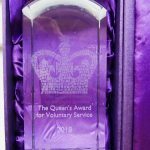 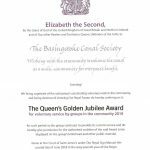 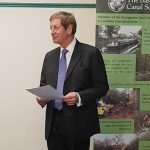 The Basingstoke Canal Society was very pleased to have been awarded the Queen’s Award for Voluntary Service in 2018, in recognition of the work done by volunteers over 50 years in helping restore and maintain the Canal for the benefit of the local community and visitors alike. 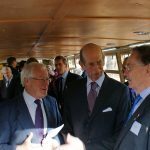 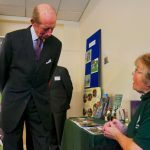 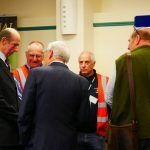 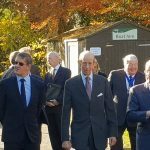 HRH The Duke of Kent visited the Canal Centre on 13th November 2018 to meet some of the volunteers and to present the award. 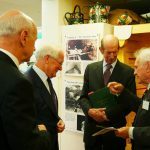 The photos and video below are a record of the event. 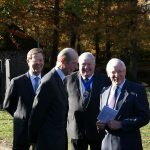 Also, a press release has been widely distributed. 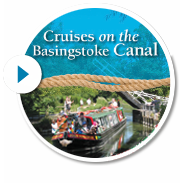 The glass trophy and certificate will be displayed in the reception area of the Basingstoke Canal Centre. 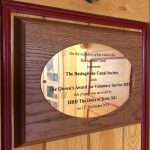 The plaque has been moved from its temporary position in the mock-up long boat cabin to an adjacent pillar. 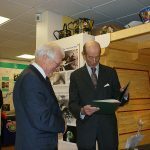 Click on any image above or below to start a slide-show. 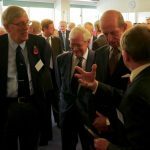 Click here to view a video of the event (thanks to David Jackson for this).